#FRANCHISE# believes that if you’re going to invest your money in an advertising or marketing campaign, you better get results that boost the bottom line. We’re here to make sure that happens. Are you looking to expand and grow your sales? Are you looking to introduce your products or services to the best local spenders? We provide strategic, cost-effective marketing solutions to help small and medium-sized businesses overcome local marketing challenges and reach new customers. We understand running a profitable business is hard work. So while you’re doing what you do best – serving your current customers – we support you by making sure your potential customers know how you can solve their problems or meet their needs. Our targeted and customized multimedia advertising campaigns are based on in-depth research to ensure that your business advertising isn’t just a shot in the dark. We make sure your message is delivered to households with active spenders who are most likely to find your service or product valuable. Once they are exposed, your business will be top-of-mind when they are ready to make a purchasing decision. Our main goal is to bring your business fresh new leads with every publication. We re ready to be your ultimate lead generator. Our targeted marketing campaigns focus on three primary strategies to reach your customers wherever they are – at home or online, through direct mail, lead generation, and digital marketing. 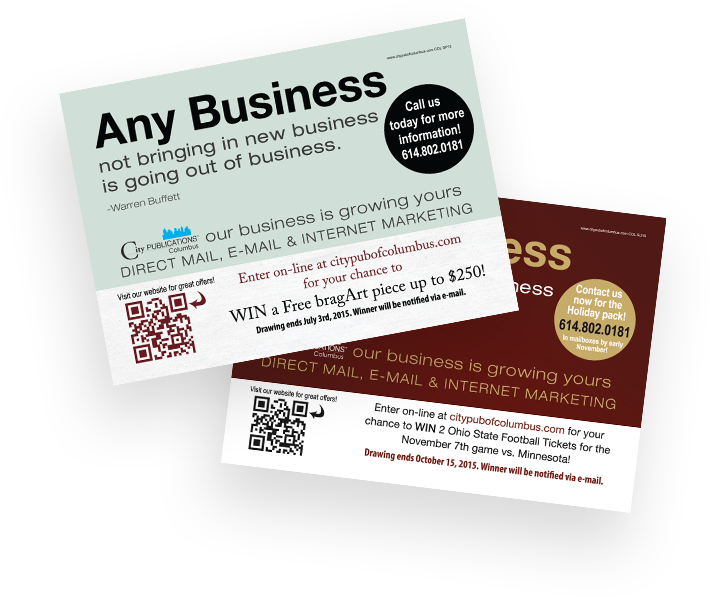 Our direct mail advertising campaigns generate the most promising business leads for our clients. 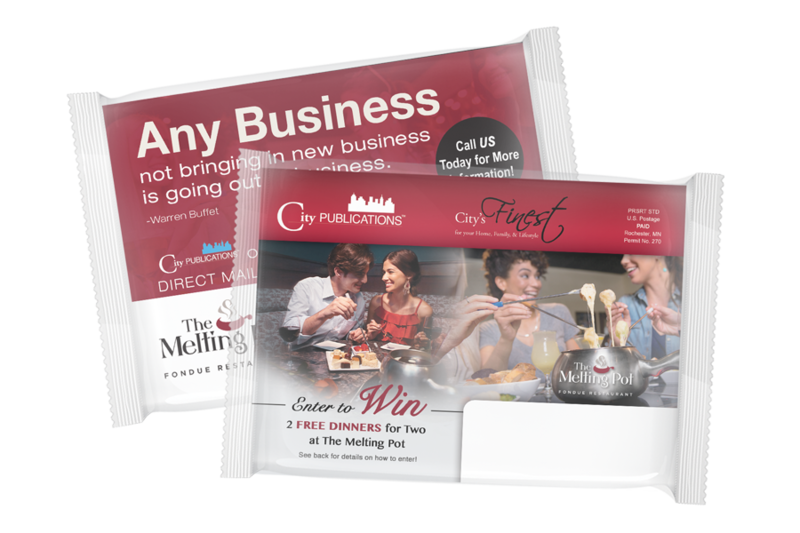 This program includes targeted distribution of brilliantly designed, full-color, high-gloss postcard mailers to high-income, upmarket homeowners who actively invest in products and services and are known to respond to direct mail advertising. During production and delivery, we leverage our proprietary digital marketing tools to increase the visibility of each postcard. Unlike other mailers, our direct mail post cards are professionally packaged and sealed in a clear cellophane wrap and are personally addressed. Each series of postcards features products and services consumers in the target demographic are most likely to purchase. We hand pick the preferred businesses in each category, ensuring our audience gets nothing but the best businesses and offers suited to their needs and lifestyle. We offer full or limited exclusivity, so your business can stand out! Find out more about all our direct mail advertising programs here. Completing a sales transaction begins well before the customer walks in the door or picks up the phone. Our web lead generation, SEO, and link tracking services help drive potential customers to your website through optimized business listings, promotions, and giveaways. We methodically research the spending and online searching habits of your prospective customers, so we can think like they do. Our regional and national websites are search engine optimized to help increase your businesses’ search rankings and online exposure. Once customers engage with your business online, or by phone, we can track these leads to measure success and find out what interests them most. Learn more about our lead generation services here. 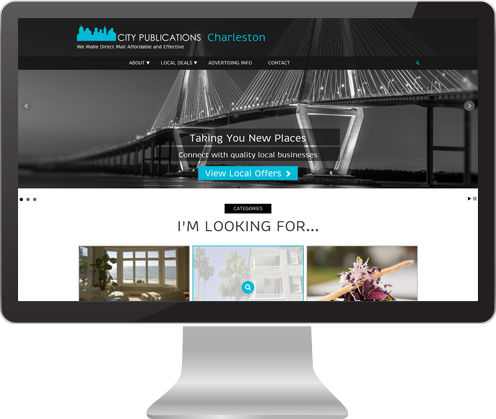 City Publications recognizes that your potential customers are everywhere. Our multi-level marketing strategy meets consumers where they are with an approach that includes both print and digital marketing services. You get the best of both worlds. Our Premier Advertisers benefit from multiple digital formats that complement our direct mail programs. We help your potential customers connect with your business via email marketing, online website listings, search engine optimization, and QR code placement. Our email marketing campaigns attract new customers, help to retain current business, develop your brand identity, and increase your website traffic. See what our digital marketing campaigns have to offer here. City Publications Winchesterton Fieldville is locally owned and operated, providing business clients with local market knowledge and a unique connection to the affluent local consumer. City Publications Winchesterton Fieldville is your leading local provider in dozens of deal categories for direct mail, lead generation and targeted marketing opportunities.